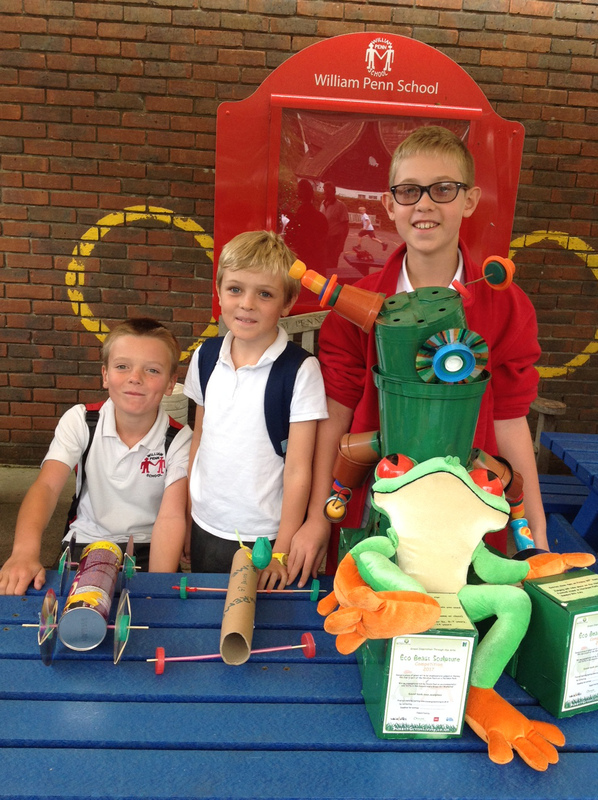 Children from all over West Sussex competed in our Eco Beast Sculpture competition in July, culminating in a public display at the family event ‘Funday Sunday’ in Horsham Park. The four winning schools – Warninglid, Georgian Gardens, William Penn School and Upper Beeding – enjoyed their prizes on 8th, 11th, 12th and 13th September. In an inspiring assembly, multi award winning environmentalist and solutionologist Nicola Peel spoke about her incredible works in the Amazon. She explained about the problem of rubbish in countries which do not have a waste management service, where the rubbish ends up in rivers and drifts out to sea. She showed innovative solutions she has offered schools and communities in South America which reduce sea plastic and help the community. Following the assembly, a green art workshop was delivered by Nicola, Carrie and a team of West Sussex County Council trained Waste Prevention Advisors. In their green art workshop, the older children imagined they were on a small beautiful island which had very limited resources and the people on the island need to reuse, remake, recreate with the materials available. The children were given a small selection of recyclable materials to make a ‘car which moved’, ending with a race to see which cars went the fastest, but more importantly traveled the furthest. They learned about wind and solar powered cars and the use of rubber bands to propel their cars along. The younger children’s green art workshop was led by Chris Porter, a voluntary Waste Prevention Advisor. She introduced our British friend the barn owl and wove in some environmental facts; the children were then given a sparkling array of waste resources to choose from to make an upcycled CD owl. View some of the amazing upcycled cars which were invented using a few waste resources from our magical invention box! Click on the image to see the full photograph. The children learned about inventing, engineering, the science of clean renewable energy powered cars, problem solving, teamwork and most importantly perseverance ‘if at first you do not succeed, try, try again! See the Eco Beast Sculpture competition entries and public exhibition at Funday Sunday here. 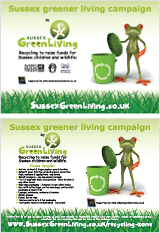 Learn more about the WSCC Waste Prevention Scheme here http://www.wastepreventionwestsussex.co.uk/.